The Rock commercial inflatable is from the X Line, a series of commercial units combined together to create massive combo units. This combo unit is composed of two jungle play yards and one rock slide. These items can be bought as a package or separately, depending on what you are looking for. The Rock commercial inflatable is from the X Line, a series of commercial units combined together to create massive combo units. This combo unit is composed of two jungle play yards and one rock slide. These items can be bought as a package or separately, depending on what you are looking for. The Rock is similar to another combo unit from the X Line called The Wild River. 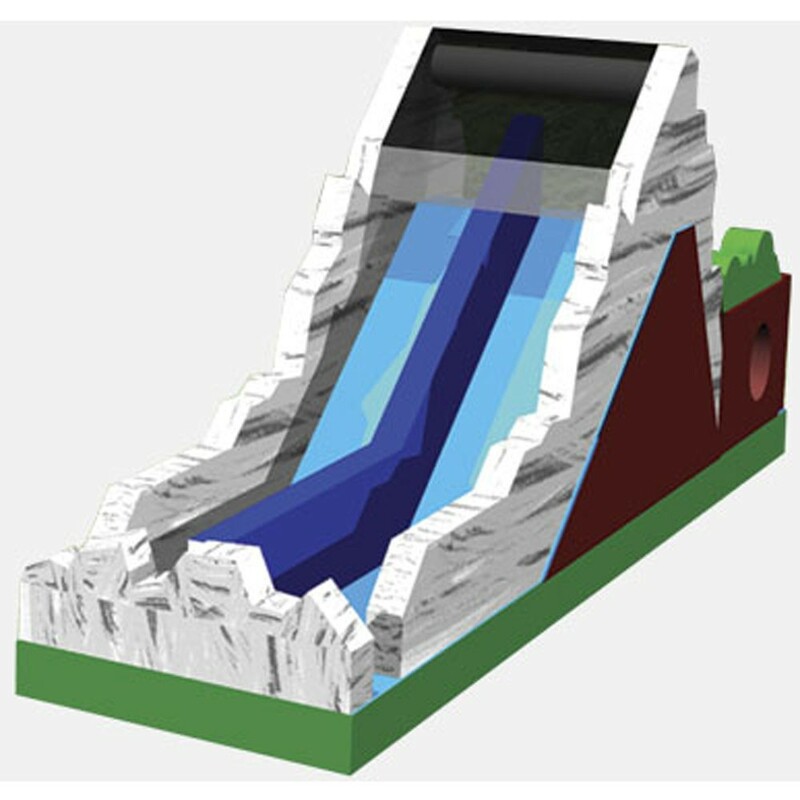 Both units have the jungle play yards; however, instead of the rock slide it has the river. Each piece of these units can be use together or if you buy them separately you can mix and match to satisfy your needs! Manufactured with a high quality 18 oz PVC material, these units were not made just to enjoy, they were made to last.